Review: BoxiTale – A Virtual and Physical Board Game all in one! 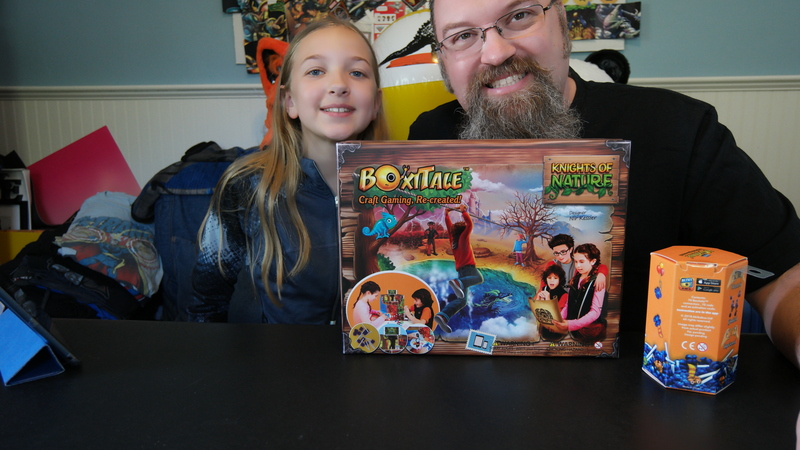 We were provided a copy of BoxiTale free of charge to play with and review. Opinions are our own. The Summer is here and my kids are already wanting to know what we are going to do all day long. Over and over I get asked what we are doing next. I’m also asked if the kids can play on their tablets. I don’t want them to be playing on the tablets all day long but I can’t be entertaining them every second either. I do, however, want them to use their creativity and work together. That is why I was excited about trying out the new game, BoxiTale. 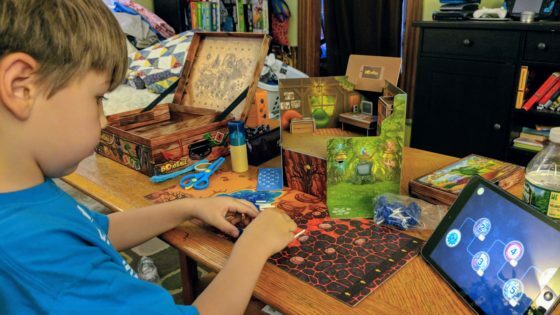 BoxiTale is a unique gaming concept that blends craft-based imaginative play with digital technology for an immersive story-based experience that is streamed on a tablet or smartphone and solved on a board game. We played this together as a family and had a lot of fun. The game takes around 45 minutes to complete a single episode. There are 2 episodes that are part of the full game and then there are additional episodes that you can purchase through the app. There are also Mini Stories that you can also play through a separate app. The nice thing about this game is that the kids choose their character from their existing toys. They take a photo of that figure and put it into the game. Then they have to craft for that character and for other things in the game. There are different scenarios where kids build, color, assemble, cut, tape and more. They use creative thought processes to achieve goals within the game. Eva and I made a video review of the game. BoxiTale is $39.80 on Amazon.com. If the game interested you then please consider purchasing through our affiliate link. In addition to the BoxiTale version that we had there is also a space themed one. More details about that below. May 16th, 2018 – Akibabus Ltd has launched Boxitale, a unique gaming concept that blends craft-based imaginative play with digital technology for an immersive story-based experience that is streamed on a tablet or smartphone and solved on a board game. The BoxiTale stories lead players into original, animated adventures where they are the heroes, building, designing and solving the challenges presented to them in the story as they try to save the day. Once the player’s design is ready on the board, they take a picture of it and upload it using the BoxiTale app; the picture is reflected in the story. BoxiTale stories available now include Knights of Nature, Elite Explorers (each $39.90), and Boxitale – Mini Stories ($20.00). Additional stories are available through in-app purchases. More stories will be released in 2019.